While most tourists stick to South Kanto in order to see Tokyo, the North of the region is well-worth checking out, too! North Kanto’s prefectures of Ibaraki, Gunma, Tochigi, and Saitama will take your breath away with huge mountains, scenic lakes, and beautiful flower displays. Hiking enthusiasts will love the challenge presented by Ibaraki’s Mount Tsukuba. At 877 meters above sea level, the mountain’s twin peaks of Nyotai and Nantai offer spectacular views. Many hikes start at the beautiful Tsukuba Jijna Shrine; however, if you’re not feeling energetic, you can take the cable car. Further trekking routes can be found at Fukuroda Falls. 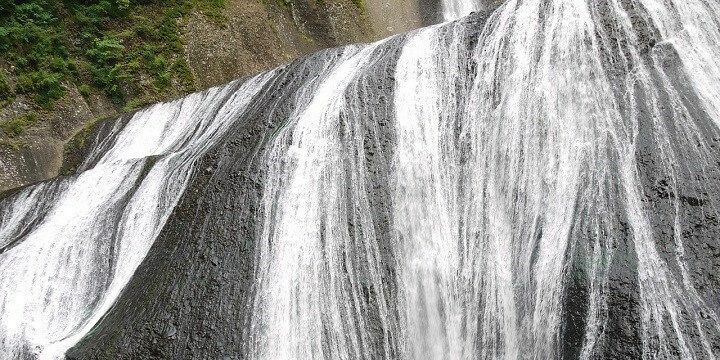 At 120 meters tall and 73 meters wide, this is one of the largest and most beautiful waterfalls in Japan. The Fukuroda Falls are 120 meters tall and 73 meters wide. If you simply want to relax, check out Ibaraki’s Oarai Beach, the largest beach in the Kanto region. It has gorgeous, clean, white sand, and plenty of restaurants and food stalls. 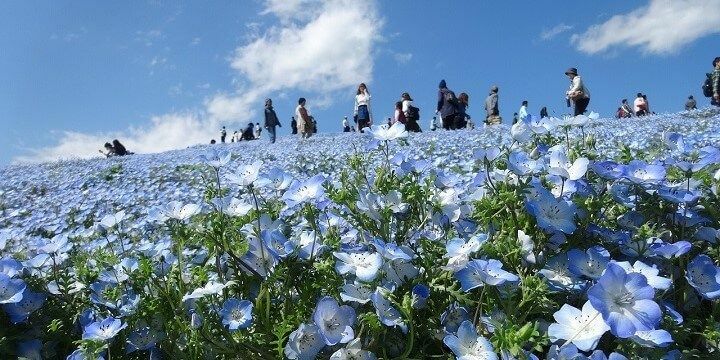 Alternatively, take a leisurely stroll around the Hitachi Seaside Park, where you can enjoy 15 different gardens, with a variety of colorful flowers, including tulips and poppies. The Hitachi Seaside Park features 15 different gardens. More flower displays can be found at Tochigi’s Ashikaga Flower Park, home to over 350 wisteria trees across 92,000 square meters. Tochigi’s Ashikaga Flower Park is home to over 350 wisteria trees. 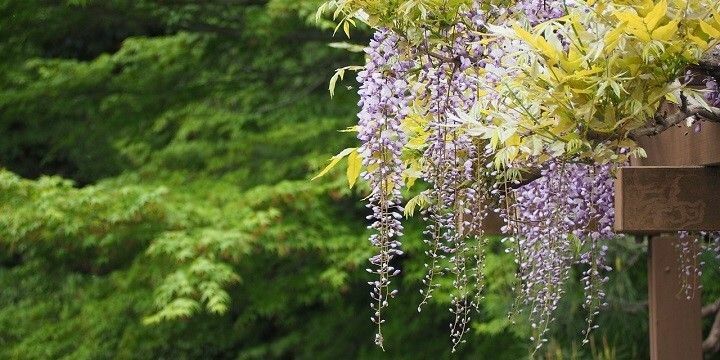 The annual Giant Wisteria Festival, which takes place between April and May, attracts half a million visitors, who come to see the gorgeous purple, gold, and white plants. Don’t miss out on Tochigi’s Nasu Highlands, where you’ll find several spectacular mountains, including Mount Chauzu, an active volcano. A cable car will take you up the mountain, from where you can walk to the peak and observe the smoke billowing over the top of the volcano. Nature lovers should also check out Tochigi’s Ryuokyo Gorge. The Ryuokyo Gorge is a great destination for nature lovers. You’ll be wowed by the distinct colors of the gorge’s three sections: while the upstream has deep purple rocks, the midstream is characterized by its blue colors, and the downstream area has white rocks. See all of the sections by following various hiking routes, which range from 1.5 to three hours in length. 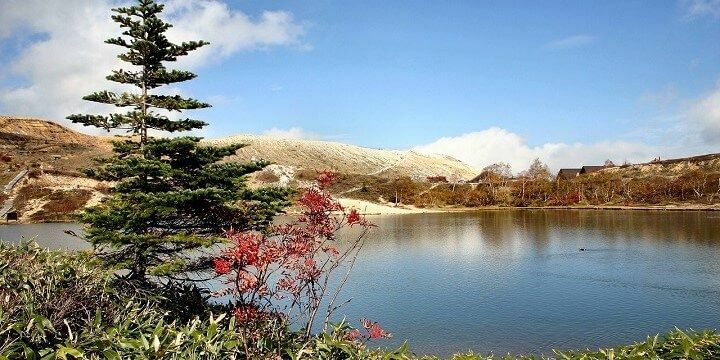 A beautiful must-see in Gunma is Lake Haruna, which has an elevation of over 1,100 meters. If you want to see stunning flower displays, visit between April and September, or check out the lake during the winter months to take part in ice fishing. 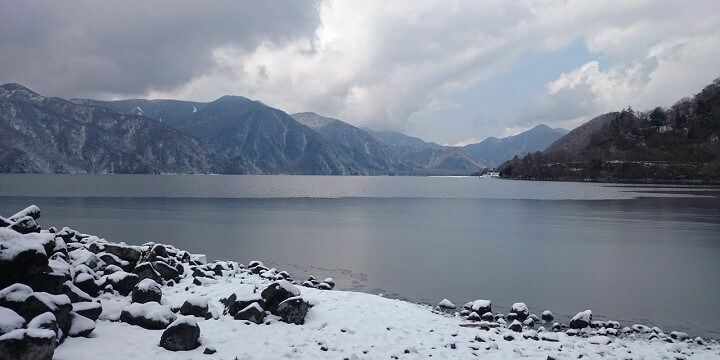 Lake Haruna is a must-see in the Gunma prefecture. Be sure to take the ten-minute stroll from the lake to see the beautiful Haruna Shrine, which is about 1,500 years old and has a spectacular 600-year-old tree growing in its grounds. If you need to relax after your hike, check out one of Gunma’s many onsens (traditional Japanese hot springs), including Ikaho, which is located 700 meters up Mount Haruna. 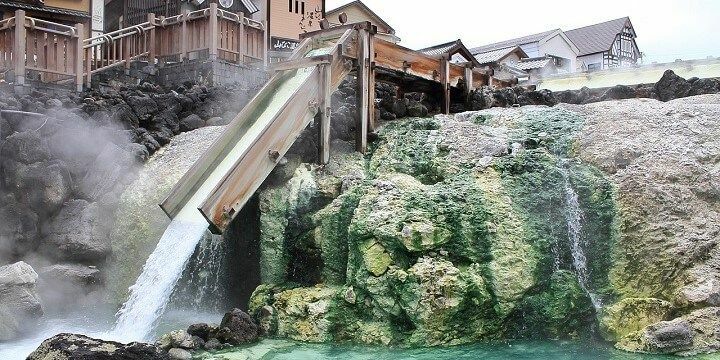 Kusatsu, meanwhile, has the largest natural flow of hot spring water in the whole of Japan! Kusatsu is home to Japan's largest natural flow of hot spring water. Begin your visit to Saitama in the town of Kawagoe, where you’ll find a historical wooden castle, a fascinating railway museum, and the traditional Kita-in Temple, which dates back to the ninth century. Then, check out the prefecture’s many tea fields. Saitama is one of Japan’s largest green tea producers, so it’s the perfect place to sample a delicious cup! For beautiful views of the tea fields, follow one of the hiking routes through Totoro Forest. These paths will also take you through quaint villages and past Sayama Lake, an artificial reservoir that offers spectacular views of Mount Fuji on a clear day. 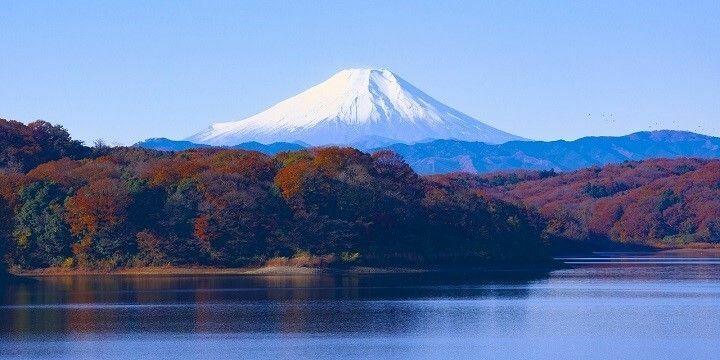 Sayama Lake is an artificial reservoir with spectacular views of Mount Fuji. If you’re looking for a fairly easy hike, trek up to the beautiful Hodosan Shrine, located part way up the Hodosan Mountain. From ground level, the trail is around nine kilometers long, with plenty of flatter parts, making it perfect for beginners. Beautiful nature from lakes and hot springs to mountains and highlands.